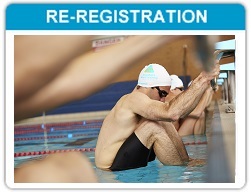 Welcome to the Masters Swimming Australia online registration system. Becoming a registered member is fast and easy. 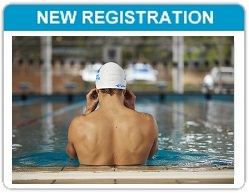 Simply click on 'New Registration', find your nearest Masters Swimming Australia Club and then register. If you are registering for the first time click on the image above to start your application to become a member. Proof of age will need to be provided to your Club to verify and activate your membership, so please bring a copy. If you have been a member of MSA in the past, you are asked to click the image above and enter your username and password to re-register. Once you have logged in, click on the 'Registration Renewal' button in the top menu. If you have difficulty logging in please inform your club, Branch office or MSA directly. 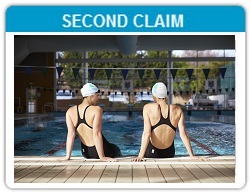 If you are wishing to join a second club in addition to your first claim club, please visit click on the image above. The 2019 membership season to Masters Swimming opens on the 1 December 2018 and is valid to the 31 December 2019. The 4 month membership to Masters Swimming is from 1 September to 31 December 2019. The 16 month membership to Masters Swimming is from 1 September 2019 to 31 December 2020. If you have forgotten your username and password, you can click on the 'Username & Password' button on the top right hand corner near contact us, to have them sent to your nominated email address. If your email address has changed since your last log in please email admin@mastersswimming.org.au directly for assistance.